Attention to clubmen of RCWC. 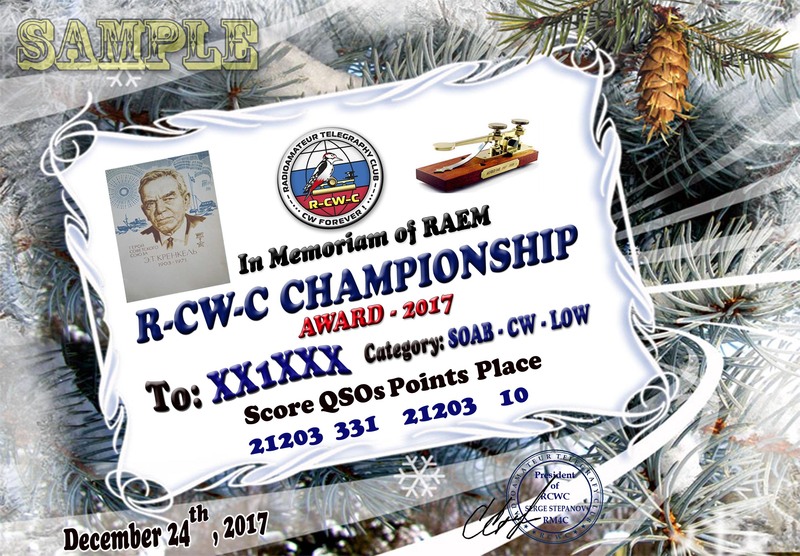 Within the competitions "the Memorial E. T. Krenkel - RAEM" 24.12.17 will be carried out the RCWC Championship with parallel offset among clubmen of RCWC. Only your participation is required. Any preliminary applications. The judiciary board itself will make selection of clubmen and will make among them offset on the same classes which are defined in Position of RAEM. In the presence of sponsors rewarding with plaquettes will be made.